Q: Can I play ball games, or fly a kite, on Magog Down? A: Please check out the Rules where you will see that ball games are only permitted for under-14s, and kites must be flown with care not to cause danger or anoyance to others. Q: Can I fly a drone on or around Magog Down? A: No. These have been specifically prohibited under the revised Rule regarding Aircraft. Q: Can I hold an Event on Magog Down? A: You must gain the prior permission of the Trustees for any organised gathering, and only certain types of events will be permitted. For large events, we will ask for notices to be put up to advise regular users in advance. And you will need to show evidence of Liability Insurance for your organisation. 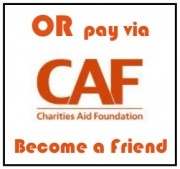 Please contact us with details of your proposed event as early as possible. 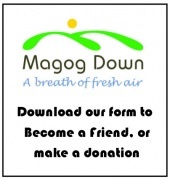 Q: Can I hold workshops on Magog Down as part of my business? A: No. Under the terms on which the land is owned, it is not permitted for any commercial activity to take place there. Q: Can I sell my goods or charge for my services on Magog Down? A: No. As above, under the terms on which the land is owned, it is not permitted for any commercial activity to take place there. See the Rules under "Trading". Q: Can I bring a group of students to study on Magog Down? A: Yes. We are delighted that various local schools and other groups do use Magog Down as a resource for study. Please tell us when you plan to come, and the nature of the group. If you would like access outside of the advertised Gate-opening times, we can usually arrange this with our volunteer gate-lockers, given sufficient notice. Again, contact us with the details. Q: Can I bring a minibus onto the site? A: The Height barrier across the entrance gate is 2.1m, so please contact us in advance. For educational visits, we can usually arrange to open the top barrier to allow you access, given sufficient notice.